Royal Warwickshire Regiment Re-enactment Group - Re-enactment? The dictionary definition of Re-enactment is a performance of events from the past, and that is it at it's most basic level. We recreate a time period (the 2nd World War) using equipment from, or reproduced to be like it is from, the 1940's. But the hobby, for that is what it is, goes so much further than this. 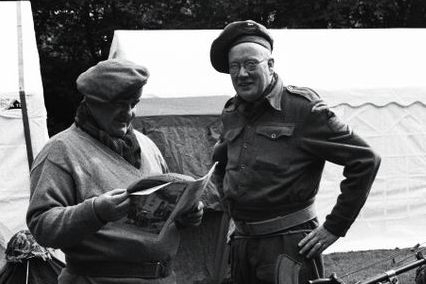 Part of the hobby allows us to have the privilege to speak to some of the veterans from the 2nd World War, including former members of the Regiment, as well as those who were involved with National Service and the Korean War. Speaking with them is always a great honour and full of interesting information about their experiences which give us an insight into how life was for them whilst in service so we can better portray them in our recreation of the era. This means that the unique experiences of some of the most turbulent and violent times in human history can be recounted for future generations. As well as the serious points listed above, it is important to remember that alongside our acts of respect and remembrance, re-enactment as a hobby is huge amounts of fun! It allows you to meet some of the most interesting (and strange) people on the planet from all kinds of backgrounds, learn new skills (from weapon maintenance to how to start a camp fire) and entertain and teach others. At some events you will find hundreds of re-enactors, and even if you are from a different group or era, there is still a feeling of comradeship which feels fantastic. The re-enactment community is a huge and friendly one, covering all eras of history. 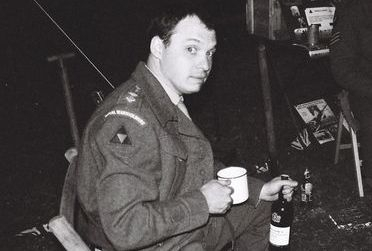 At events groups will often mingle and interact for display purposes and in the evening all the participants gather around a camp fire (or beer tent) and have a laugh. 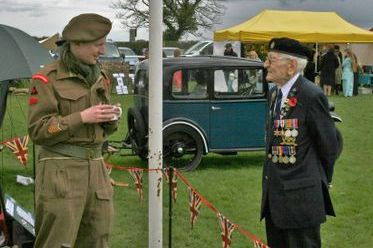 This is what makes re-enacment such a rewarding, interesting and entertaining hobby. To get an idea of the group itself and what we do have a look at the rest of our site for more information. If re-enacting this period is something you would like to experience for yourself click on the contact us link at the top to come and have a go or meet us at an event!